First thing that you need to buy is your favorite meat. Whether it is a melt in your mouth beef, pork or chicken this recipe will make you and your family and friends the perfect sandwich. This recipe will be the best way you'll ever cook meat and to perfection every time. I use either a 5 to 7 quart crock pot, some great seasoning ingredients and then this special Asian sauce that makes a perfect blend of flavors so let's get started. In a 5 or 7 quart crock pot place the meat of choice, garlic, bourbon and broth in the pot and cook until tender around 4 or 5 hours on high or 6 to 8 on high. Shred with two forks. Use a slotted spoon to drain the juice then add to a toasted hard roll. Add the sauce over the top and serve. In the mean time get the sauce recipe below ready. In a small saucepan combine all ingredients, simmer around 10 minutes. 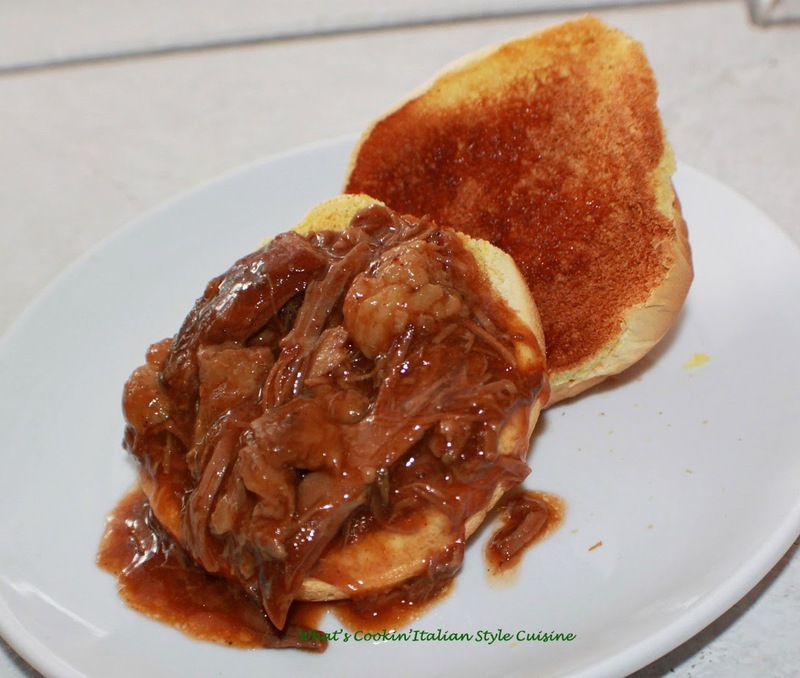 Place the shredded beef, chicken or pork on the bun, add the sauce and serve. Dear Claudia, This sounds like a great sandwich. Great, Claudia! All those good ingredients would definitely add up to a delicious sandwich. Thanks and Happy Valentine's Day!